We are very pleased that most people visiting our salon stay with us for longer and regularly use the massage session we offer. Considering this fact, we have prepared a loyalty program for you - a loyalty card based on a very simple rule - every sixth massage is for free. This means that after five paid massages, you can choose any treatment up to the amount you have allocated to us for a massage. All full-cost massages are eligible for entry on the loyalty card, but not including gift cards. Massages covered by the Happy Hours discount are not added to the loyalty card. This means that when you reach us during Happy Hours you can choose a 20% discount or an additional point in the loyalty program. HOW DO OUR PARTNERSHIP PROGRAM WORK IN PRACTICE? Imagine that a person X came to any of our salons for four 60 minute Thai massages for 130 PLN each and one massage with hot coconut oil of the same length and price 250 PLN . 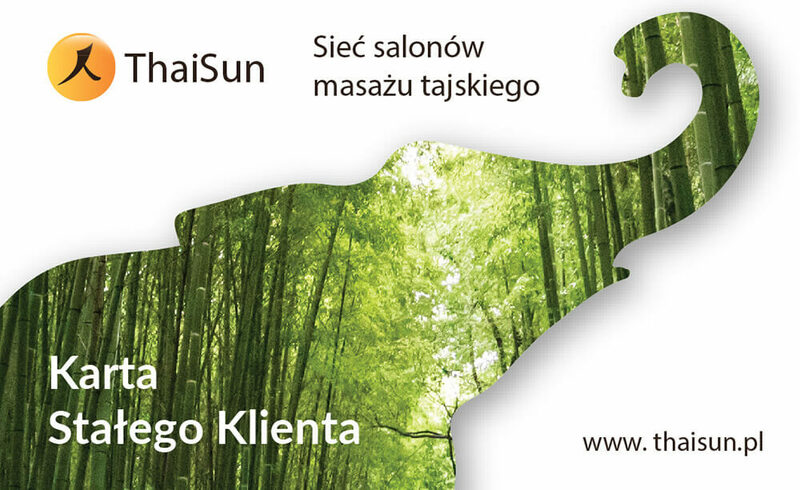 With this assumption, the next, sixth massage is free up to 250 PLN. If you want a massage, the price of which is higher than 250 PLN, you only pay the difference in price. It can therefore be said that in this case our loyalty program works exactly like a rebate card. So if you regularly visit our salon, ask at the reception for a loyalty card, it takes less than a minute to write the card, and you can enjoy a free massage every sixth visit. You don't have a Loyalty Card in ThaiSun salons?